How many points for an angry refusal letter? 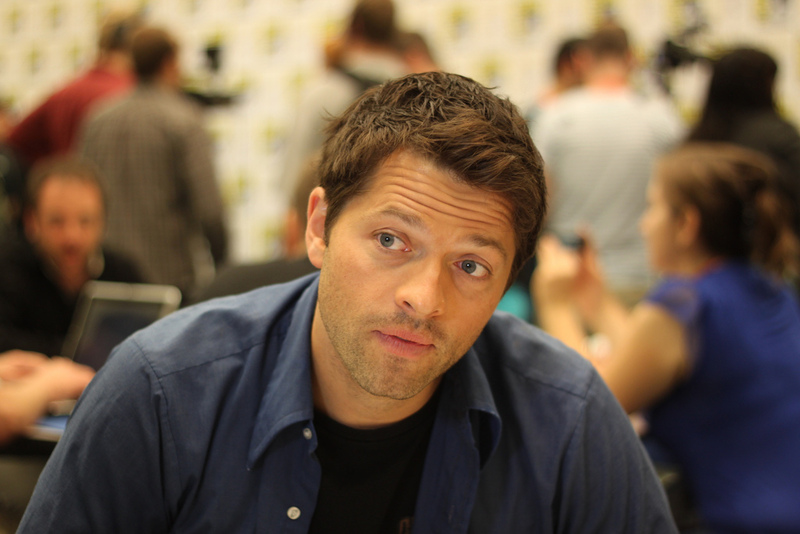 GISHWHES (the Greatest International Scavenger Hunt The World Has Ever Seen) is a charity scavenger hunt created and run by Supernatural star Misha Collins. This year, one of the items on the list was a sci-fi story written specifically for the hunt, and overwhelmed sci-fi authors aren’t too happy about it. It might seem like a bit of harmless, charitable fun, but at least one author took to Facebook to let the world know that encouraging a massive fan base to flood authors with a pretty random request is a bit insensitive. Neil Gaiman must have been getting some emails, too, because he tweeted that he wouldn’t be participating. Sure, 140 words isn’t very long, and GISHWHES supports charity, but the fact that the stories are requested to be starring Misha and that they could easily have been replaced with another item that wouldn’t ask a large group of fans to harass authors without changing the hunt’s charitable effects just leaves a bad taste in my mouth. While that’s great, no one suggested that everyone participating in the hunt should contact 501st Legion members asking for help. They know about the hunt and have offered their services, which is a very nice thing for them to do, but they’re willing participants. They’ve even set up a separate email account just for GISHWHES requests to keep things straight, which is a luxury many unwitting sci-fi authors don’t have. The authors who are now facing inboxes full of requests for GISHWHES, on the other hand, are innocent bystanders. Enjoy your hunt, GISHERs, but maybe try to find an author who’s indicated they’re willing to help before shooting off any emails about sci-fi stories.